Flat tire on the rental car. Thousands of miles from home. Imagine a scenario where you face all these obstacles. The panic and frustration could send even a well-seasoned traveler into a tailspin. When a customer recently found himself in this exact situation, he turned to Southern California’s Administrative Representative Connie J. Connie’s diligent service put the customer at ease, solved his issues and earned his loyalty for life. 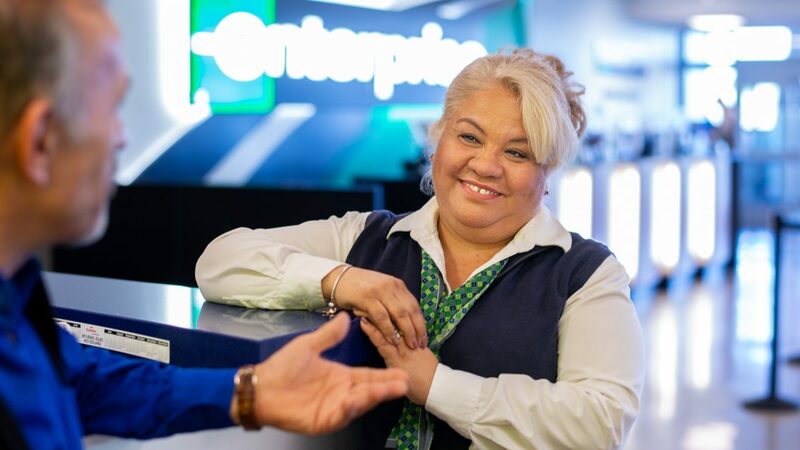 Spotlight on Service is a recurring feature in which Enterprise Holdings employees share how they create positive customer interactions. Tell us about the customer and his situation. Every year, the customer and his wife spend 12 weeks in San Diego to escape the harsh New England winter. His daughter and grandchildren live in San Diego, so it’s an extended trip the family eagerly anticipates. Two weeks into the trip the customer discovered a flat tire on his rental car. He called Enterprise and a replacement car was delivered. After the swap, the customer realized he left his glasses in the original car, along with a house key on the car’s key chain. It was this series of frustrating events that got him in contact with me. What did you do to exceed the customer’s expectations? I took the customer’s call and could immediately tell he was a bit panicked over the situation. I assured him I would research the situation and promptly get back to him. I tracked down the vehicle and discovered the tire was quickly fixed and the car already rented to another customer. I contacted that customer to check for the missing items – and, good news, the items were found! When I relayed the good news there was an audible sigh of relief. I think this customer appreciated the time I took to listen to his situation and follow through with a resolution as quickly as possible. I could tell he was under a lot of stress, especially missing his glasses and being thousands of miles from home, so constant communication played an important role in giving this story a happy ending. What’s your approach to customer service? In my role, I take customer service calls at the Enterprise office at San Diego International Airport. In a typical day, I could handle 10 calls about lost items – it’s very common in the world of rental cars! While the calls are routine, the key to good customer service is to treat every customer as if I were the one facing the situation. I remind myself that while I frequently hear these stories, it’s the first time it’s happening to this customer. I try to be empathetic to the situation. The team treats each customer this way, and we strive to go the extra mile to resolve every issue. How long have you been with Enterprise? I’ve been an Administrative Representative in San Diego for 28 years. The management team here has truly created a customer-oriented work environment. We embrace meeting new customers with unique problems to solve every day. Enterprise is a great company to work for, and I’m immensely proud to be a part of this team.